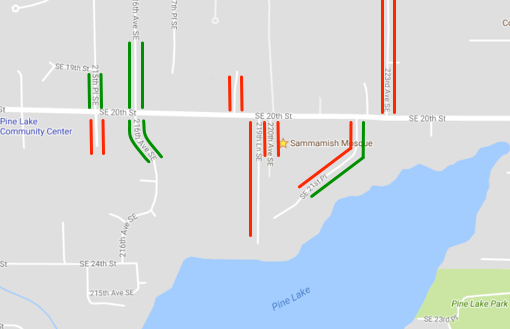 New to Sammamish? Welcome! Please provide your info (here). And Like our Facebook page (here) to stay connected. We will reach out to connect with you. Need to reach the leadership? We are always available to address your needs and look forward to hearing from you. Our neighbors' comfort is very important to us. When our own parking lot is full please use the map below to help identify places to park. In addition, please use common sense (e.g. do not block any driveways), keep noise to a minimum and treat our neighbors the way you would want to be treated.